Growing up in beautiful Provence in Southern France, Hélène learned to love nature. This passion for the outdoors has stayed with her over the years. 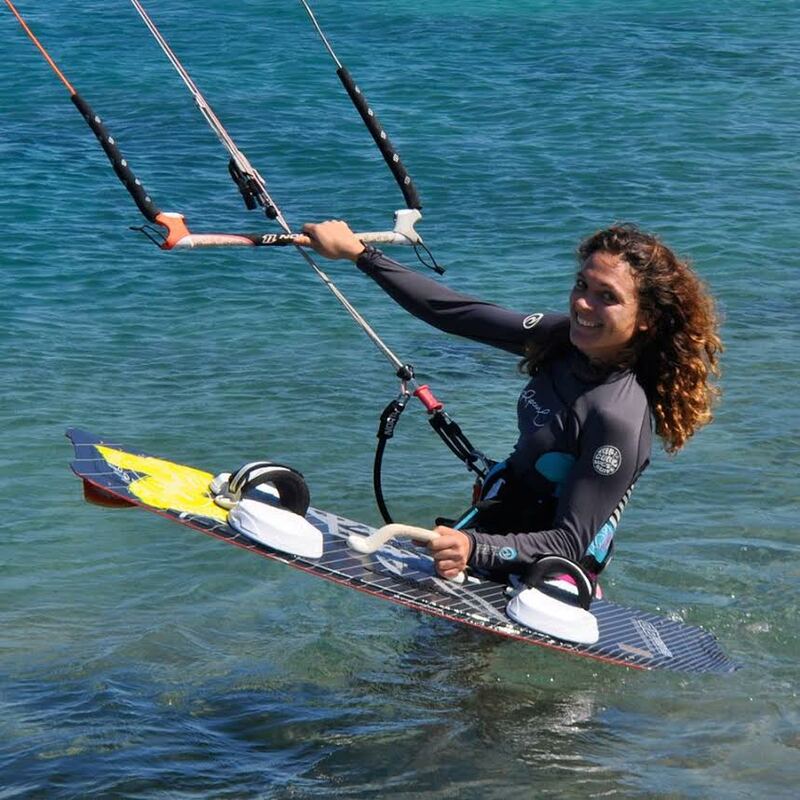 When Hélène is not hard at work in the lab, she enjoys rock climbing, scuba diving, surfing, skiing, snowboarding, and particularly kitesurfing. These challenging extreme sports keep her connected with nature and give her a sense of freedom. Hélène studies biodiversity and is interested in understanding questions like why there are more species in certain regions of the planet and why some groups of organisms are more diverse than others. She studies a variety of organisms to elucidate the general principles underlying evolution and biodiversity. Though Hélène was surrounded by nature as a kid, she studied math in school instead of Biology. She appreciated the black and white/true and false aspects of mathematics, and she didn’t really know how to make a living out of studying nature. After taking a course on the application of math to life sciences, Hélène began to realize that she could combine her interests in math and nature in her career. Hélène tried a few different approaches throughout her training before finding the field that best aligned with what she was most passionate about. The most challenging time for Hélène was the transition from being a postdoc to getting a permanent job. As a postdoc, she had been working very hard for five years in the U.S. and knew that she wanted to get a position back in France. The first time Hélène applied for a position with the CNRS in France, she was not selected. This was really disappointing, but Hélène’s perseverance paid off. The next time she applied, she was successful in getting the job. Learning that two of her postdocs were offered great jobs has been very exciting. These were proud moments for Hélène, particularly because she knows how difficult this stage of a young scientist’s career can be. Seeing her postdocs succeed was very rewarding and certainly an occasion worthy of a champagne toast! As a scientist studying biodiversity, Hélène has had opportunities to visit phenomenal places with rich biodiversity. She remembers jumping alongside kangaroos in the Sandplains in Australia and spending time working in the tropical field station in French Guiana. Hélène has a lot of fun stories and memories from her time working as a postdoc with Jessica Green. While they were out doing field work in a forest in California, Hélène recalls feeling like she was in an Indiana Jones movie as she slid headfirst down tree trunks collecting samples. Always pursue your dreams, value creativity, and follow your instincts. After two years at the Centre for Applied Mathematics at the Ecole Polytechnique, Hélène moved to the Ecole Normale Supérieure where she leads an interdisciplinary team working on biodiversity. Hélène grew up in South of France, in Provence, where she developed adoration for Nature and its diversity. Her current research reflects a combination of her mathematical skills and this fascination for the natural world. Her recent work develops new analytical approaches for understanding biodiversity, focusing on phylogenetic methods. She writes and releases software freely available for anyone to use. Her work has spanned ecological and evolutionary processes including community assembly, broad-scale geographic patterns of diversity, and the process of speciation.